W20205KC - SILVER TONE "GO TEAM!" Exclusively Ours! An Allan Robin Design!! Lead & Nickel Free!! New! 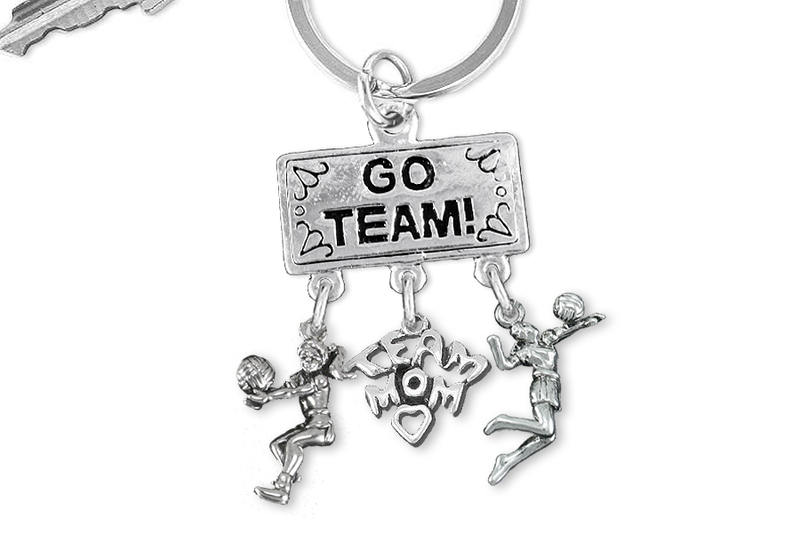 Silver Tone "GO TEAM!" Key Ring Comes With Volleyball Themed Charms, Including A Bumping Girl Volleyball Player Charm, A Silver Tone "Team Mom" Charm, And A Serving Girl Volleyball Player Charm.